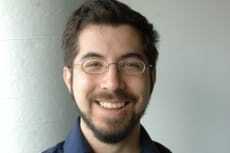 NYSCF – Robertson Neuroscience Investigator Dr. Ed Boyden, MIT, received a Breakthrough Prize, an award of $3 million, and was celebrated like a star at the Breakthrough Prize ceremony in California. The Breakthrough Prize, established by Internet pioneers such as Sergey Brin of Google, Mark Zuckerberg of Facebook and Jack Ma of Alibaba, was designed to recognize scientists like the celebrities they are. Dr. Boyden’s work is seminal in neuroscience. His research gives scientists the tools to zoom in on brain functions, isolating and studying different neurons and their interactions. In developing optogenics, he created a system that allows researchers to control neurons with light, revolutionizing neuroscientists’ capacity to understand the brain.